As of late, Republican presidential hopeful Marco Rubio's reputation has been under fire for a number of things: his meager voting and attendance as a senator or his use of a Republican Party credit card, to name a couple. But like fellow candidate Ben Carson, whose dramatic childhood tales are being increasingly scrutinized, Rubio's idyllic, pro-capitalist family story of his father fleeing from Fidel Castro and communist Cuba was similarly called into question toward the end of 2011. Real Clear Politics has called Rubio's late father and his experiences "the greatest influence on [Rubio's] campaign," which idealizes the free market, the American Dream, hard work, and aspirations for the next generation. 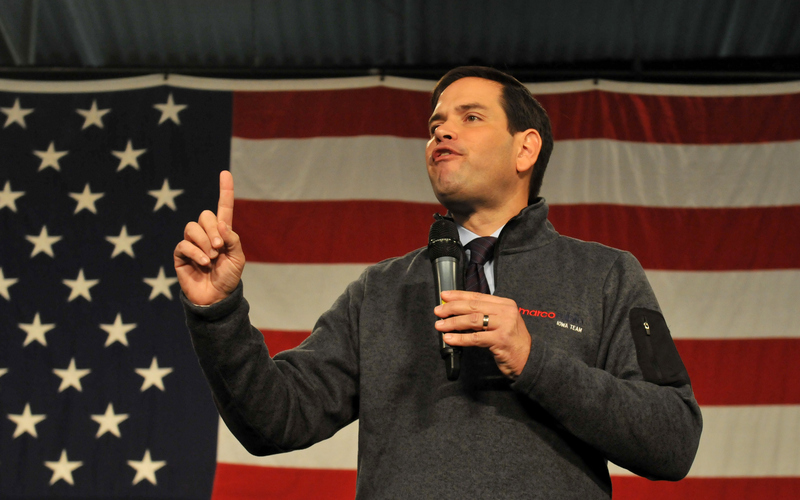 So, who is Marco Rubio's father, Mario Rubio? The story the Republican candidate told news outlets for years went something like this: His father fled Havana around 1958 or 1959 seeking a better life following Castro's communist revolution. But in October 2011, the St. Petersburg Times (now the Tampa Bay Times) reported on naturalization documents of Mario and Oriales Rubio, indicating they had become U.S. residents in May 1956. That year, as PolitiFact points out, Castro was actually living in Mexico after a failed attempt at revolution. Nonetheless, Marco's spokesman maintained the "American Dream" narrative, stating that while Mario left Cuba prior to the communist revolution, he did so "seeking economic opportunity." Upon immigrating to America, Mario raised Marco and his three siblings in Las Vegas while working as a hotel bartender for many years, often coming home "well past midnight," according to his son. Marco's mother worked multiple years in retail. "My father stood behind a small portable bar in the back of a room for all those years, so that tonight I could stand behind this podium in the front of this room," Marco said, in launching his presidential bid. "That journey, from behind that bar to behind this podium, is the essence of the American Dream." His father's hard work is frequently referenced in his speeches. Marco recalls that he enjoyed a relatively charmed upbringing. "Las Vegas is not often the first place that comes to mind for people looking to raise their children in a wholesome environment," he wrote in his autobiography, The American Son. "Yet in many respects, it would prove to be the family-friendly community my parents hoped it would be." As a youth, Marco joined the Culinary Union's 1984 strike in a picket line outside where his father worked. In his book, Marco wrote that in his pro-union zeal, he even called his father, who continued to go to work, a "scab." Rubio's stance on organized labor has since changed dramatically. Little specifics are known of Rubio's father, beyond the broad sketch that portrays him as a symbol of the glories of economic freedom in America, save for a small anecdote that highlights his sense of humor. Marco Rubio recalls his dad calling home and pretending to be Miami Dolphins coach Don Shula, reminding him to wear leg braces in order to build the strength to someday play in the NFL. Mario Rubio later died of lung cancer two months prior to his son's victory to the U.S. Senate in 2010. In a speech launching his presidential bid this year, Rubio said, "I regret my father did not live to see this day in person. He used to tell me all the time: En este pais, ustedes van a poder lograr todas las cosas que nosotros no pudimos. In this country, you will achieve all the things we never could." Rubio's father may have died five years ago, and yet he still plays as great a role as George H.W. Bush or Ron Paul play in their sons' presidential bids. Mario's story as a hard-working immigrant who was able to build a better life for his son in a free market nation is arguably every conservative's fantasy and serves as a fundamental piece in his son's platform.